Make decadent, sugar-free brownies everyone can enjoy. To achieve a rich, pure chocolate flavor, we source European-style Dutch cocoa (which also happens to be low in fat). Preheat oven to 350°F for metal or glass pan or 325°F for dark or non-stick pan. Prepare 8″x8″ pan by lightly greasing or spraying with non-stick cooking spray. 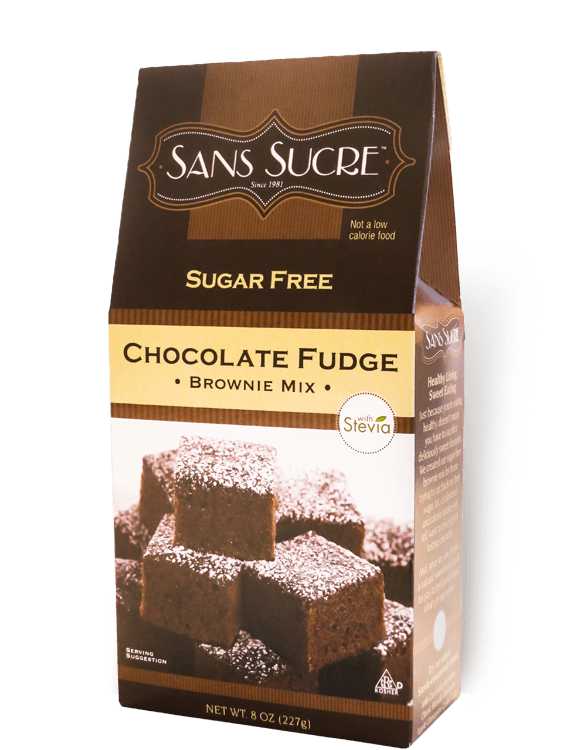 Blend water, oil and brownie mix in medium bowl (3 minutes on medium speed with electric mixer or 50 strokes by hand). Spread evenly in greased pan. Bake 25 to 30 minutes or until inserted toothpick comes out clean. Cool before cutting. Store covered. Ingredients: Enriched Flour (Wheat Flour, Niacin, Iron, Thiamin Mononitrate, Riboflavin, Folic Acid), Sorbitol, Maltodextrin, Cocoa (Processed With Alkali), Egg White, Soy Lecithin, Nonfat Milk, Sodium Bicarbonate, Calcium Phosphate, Natural Flavor, Stevia Extract (Rebiana).